Sorry for the image - I will replace this with one of my own. I left my camera at my parents when I went home for a weekend and now I'm back down in London. Typical me! *Disclaimer: I was kindly sent this product to review. All opinions are 100% honest and my own. A few weeks ago I received a lovely email from the Upbeat team asking if I would like to review their drinks range. I was absolutely chuffed because I had heard about these online and had never gotten round to actually trying them. 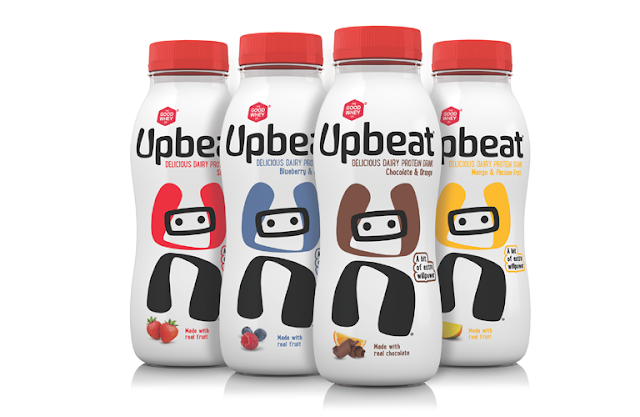 Upbeat have a range of dairy drinks which are high in protein and low in fat, which are perfect if you are working towards a healthier lifestyle. Protein is one of those food groups I think we overlook when planning our meals and it is so so important, particularly if you are into your fitness like I am. Upbeat drinks are basically made from three ingredients: fruit juice from concentrate, fruit puree and fresh whey protein. None of those long fancy chemical-sounding words you see on so many shelves in the supermarket these days! They come in four flavours: Blueberry & Raspberry, Mango & Passionfruit, Strawberry, and the newest addition to the Upbeat family - Chocolate & Orange (made with real chocolate might I add) which I think sounds amazing! I tried the Strawberry and Mango & Passionfruit drinks. Both were really delicious and so much better than any other protein drink alternatives I have tried which are currently on the market. I've always been a sucker for Mango & Passionfruit smoothies but find that smoothies actually contain quite a lot of calories due to the high sugar contents. The great thing about the Upbeat range is that they contain no more than 150 calories! 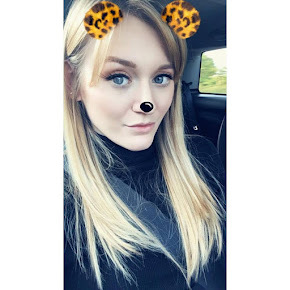 I tried a drink each day and found that I felt more motivated and less sluggish, so I would definitely recommend them to anyone, even if you aren't particularly into your fitness. Especially now the winter months are coming and I think we all tend to feel more sluggish during the colder seasons. I will definitely be incorporating this range into my weekly shop from now on. I am a big fan of the brand and packaging. I think it is simple yet also eyecatching and tells you everything you need to know. I personally find that most drinks of a similar nature focus specifically on putting out a 'I AM STRONG AND FIERCE' brand directly targeting the fitness bunnies, but I think that can completely alienate the rest of society who could also use a little extra protein in their daily lives. This is nice and fun and I think as a brand it just puts out a really caring, all-inclusive image. I cannot recommend this range enough! These retail at £1.75 a bottle, which I think is a reasonable price to pay compared to smoothies and alternative drinks on the market. You can find them at your local Tesco or Holland & Barrett stores.